1/1/16 - 2/1/16 ~ . Food Packets Distribution at Govt Maternity Hospital,Koti,on 18th january(Monday), Hyderabad. On every third Monday of every month we conduct Food Distribution. For this month , on 18th January(Monday), 2015 evening at 5P.M, we are going to conduct Food Distribution in "Govt Maternity Hospital,Koti " under 'Annam Parabrahmam Project'. 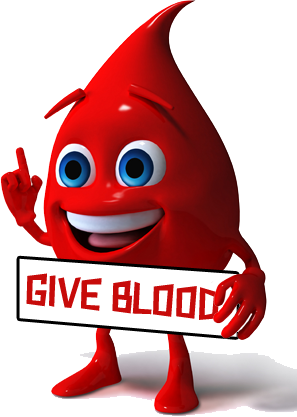 We will start from Mytrivanam(Ameerpet) at 4:00 P.M to Hospital with food packets. Interested volunteers can join from here also. Otherwise you can come directly to Hospital. We are facing problem in distribution because of lack of sufficient volunteers to control the Crowd. Please do participate to see & feel the need of food and happiness in eyes of beneficiaries. We need minimum one lady volunteer for Food Distribution as it is Maternity Hospital. Time : 5.00 pm to 6.00 pm. 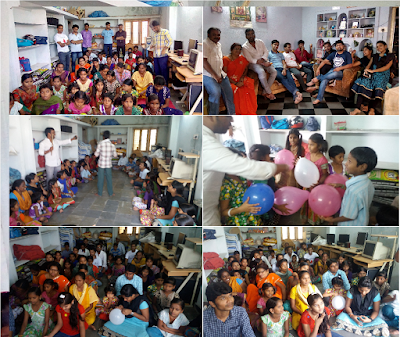 With all your support and blessings we have successfully completed visit of Vikalangula Kalyana vedika (Home for Visually challenged) on 13th Dec-15. We reached home at 10:15 am and returned at 2:00 pm. Total 17 volunteers participated and enjoyed a lot. We have divided the children and our volunteers into 3 groups and conducted games(with balloons). Singing and Dancing of the children attracted/inspired all the volunteers and our volunteers also participated in the dance with children. 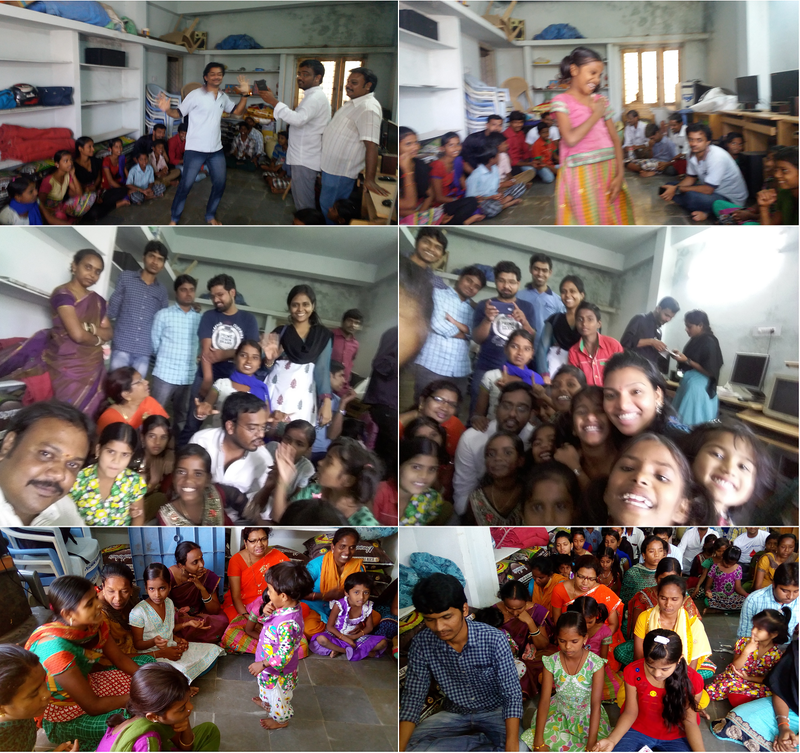 Our volunteer Prasanna,Laxman and Hari explained some inspirational stories to the children, Dhanesh conducted small quiz ,Srikanth and Rajesh dance was ultimate. Our Volunteer Hari and his friend Divya garu sponsored for groceries and Mounika garu distributed biscuit packets to the children. Our Volunteers purchased Agarbatti and Key chains which were made by the visually challenged people for their pocket money. It's time to share your happiness with our little Brothers and Sisters(orphan). Please come and join with us on this Sunday 13th,Dec 2015 from 10:00am to 1:00pm at "Vikalangula Kalyanavedika(Home for Visually Challenged)" at Saroornagar Gandhi statue, Karmanghat Road, Dilsukhnagar. Please reach Dilsukhnagar Bus stop @ 09:30am. Please come & join us to increase our happiness and see the smiles in their faces. Mohan NagaKumar A: 7416601669, Hari : 9848268646, Naresh Kumar - 9666664562 / Help line :9948885111.